Charlie Sheen and Scottine Rossi have called off their engagement. 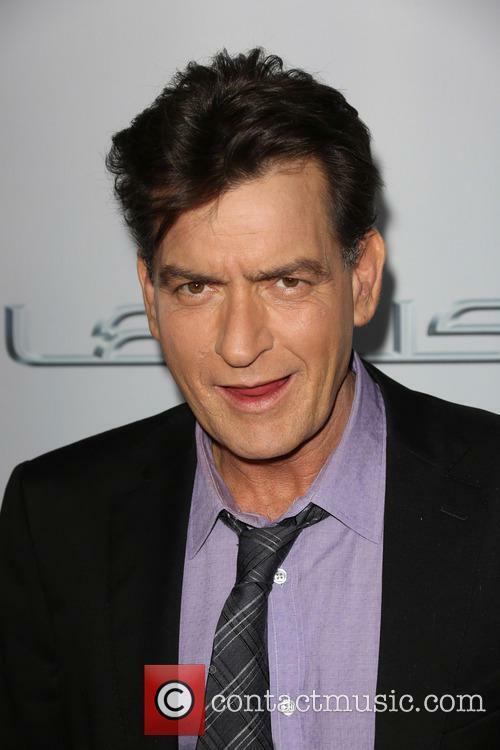 Charlie Sheen is not a man known for his long lasting relationships. He's been married three times and has had numerous relationships with women over the years. But the latest saga in 49-year-old Sheen's romantic life concerns Scottine Ross A.K.A. Brett Rossi. Sheen and Rossi have reportedly called off their engagement. 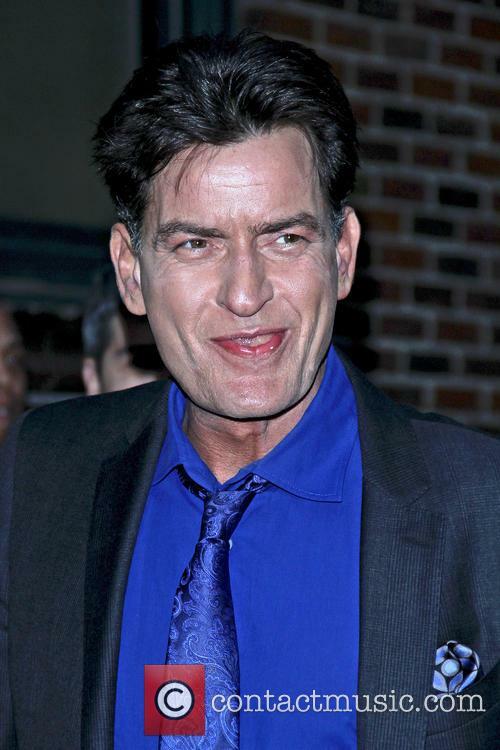 Charlie Sheen has called off his engagement. 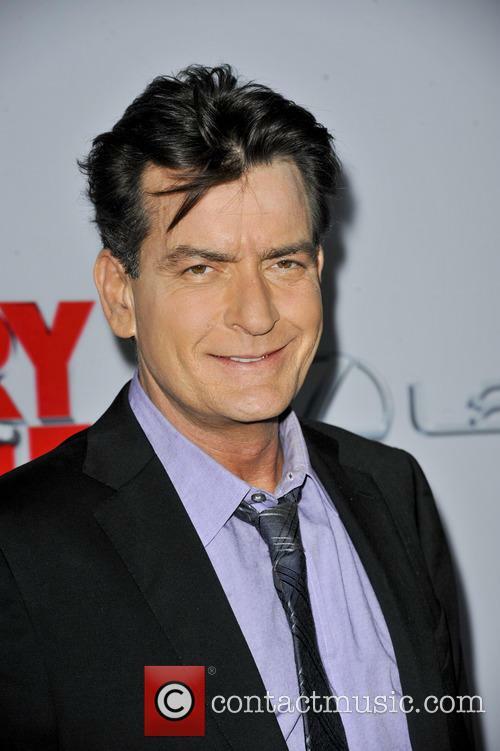 Read More: Charlie Sheen Sued Based On "Ridiculous" Claims Of Sexual Battery By Dentist. Sheen hopes that the fourth time will be the charm for him. Charlie Sheen may look like your average eternal bachelor (on paper, at least) but he loves getting married. So much so, that he’s now doing it for the fourth time. The tiger-blooded Anger Management star proposed to his girlfriend Brett Rossi on Saturday, according to a statement by his publicist for People magazine. Ever the optimist, Sheen is giving marriage yet another shot. Yes, proposing on Valentine’s day in Hawaii may be the ultimate cliché, but clearly it works – and with good reason. Cue jealousy from girlfriends all across the land. Rossi will be Sheen’s fourth wife, after his marriage to Donna Peele ended in annulment and he divorced Denise Richards and Brooke Mueller. Continue reading: Charlie Sheen Is Getting Married (Again) To Brett Rossi! Charlie Sheen's ex-wives do battle. Brooke Mueller saw her almighty custody battle with her ex-husband, the actor Charlie Sheen, escalate even further when she accused another of Sheen's ex-wife's, Denise Richards, of abusing not only Mueller's children but her own daughters too. Mueller, 36, called the police alleging that her twin sons, Max and Bob were being abused by Richards, 42, along with Sheen and Richards' two young daughters, Sam and Lola Rose. Charlie Sheen Has A Messy Child Custody Situation On His Hands. According to TMZ's law enforcement sources, cops arrived at Denise's door on Tuesday night and told her they were there to question her about a child abuse claim lodged by Brooke. However, Denise did not let them inside because her daughters were there. Instead, Denise went outside and informed the officers that Mueller's claims were "ridiculous" and "vindictive." 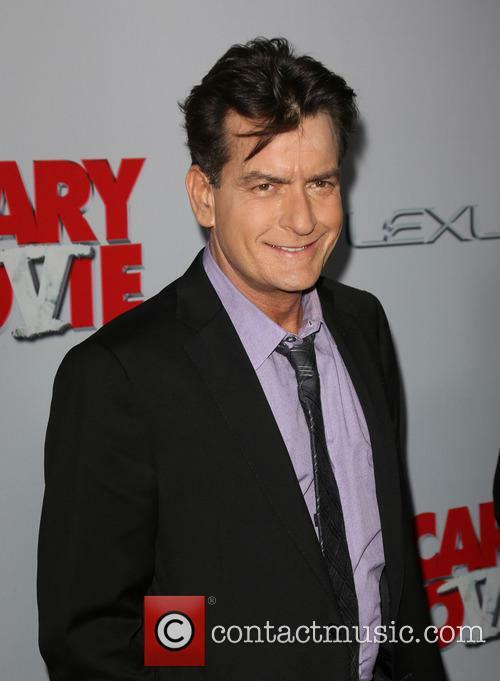 Charlie Sheen is stepping up his battle with ex-wife Brooke Mueller over Bob and Max. Charlie Sheen has quoted his father's epic movie Apocalypse Now to underscore the anger he's feeling towards ex-wife Brooke Mueller, her alleged treatment of their children Bob and Max and the L.A. County Department of Children and Family Services. Earlier this week, Brooke tried and failed to get a restraining order against Sheen. Sheen tells TMZ.com he would not be muzzled by a gag order and believes his twins have been grievously damaged by their mother Brooke. He claims the DCFS is blindly protecting her at his kids' expense. Quoting his father Martin in Francis Ford Coppola's classic war movie, Charlie said: "I am beyond their timid lying morality, therefore I am beyond caring" -- referring to what he considers the tepid actions of DCFS. Brooke Mueller tried to get a restraining order against Charlie Sheen. Brooke Mueller has failed in her attempt to get a restraining order against ex-husband Charlie Sheen for allegedly threatening her life. Mueller filed the request for a temporary restraining order against Sheen following his outburst to TMZ.com last week, during which he called Brooke an "evil whore" who's putting their kids' lives in danger. In her petition, Brooke quotes Charlie saying, "[T]here will be a reckoning. There will be a whirlwind. That they will all reap while desperate begging for my forgiveness. You've all been warned." Charlie Sheen is worried about his kids under Brooke Mueller's guardianship. Charlie Sheen has made some pretty serious allegations against his ex-wife Brooke Mueller and specifically her treatment of the former couple's children Bob and Max. Sheen called into TMZ.com to allege that his twin boys have already suffered physical and emotional damage from their time spent in Brooke's care - saying they're close to getting kicked out of school. On Friday (November 1, 2013), the kids stayed with their mother for the first time since her stint in rehab - during which time they were cared for by Charlie's ex Denise Richards. Sheen says the 4-year-old boys are scared stiff of Brooke's house - which is covered in pet lizards, insects and other critters. They're said to be suffering night terrors after spending time at the home. The pair are working out the future of 3-year-old Max and Bob with the help of the LA court. The tale of Charlie Sheen’s kids continues. After the twins got taken away from Brooke Mueller, due to her persistent abuse of prescription drugs, and placed in the care of Denise Richards, the court, Sheen and Richards herself are in the process of figuring out a more permanent living situation for the kids. The actors met up at an L.A. area court last week to discuss the matter, E!News reports. Both Richards and Sheen were very formal, sporting all black ensembles and dark glasses when they entered the building. However, beyond the fact that the meeting did happen, nothing else has been revealed to the media. Sheen’s lawyer Mark Gross revealed that the judge issued an order stating that none of the parties involved or their lawyers could comment on the case. That was probably a wise move, considering the extensive coverage the case has been getting ever since the twins were taken away from Mueller. Meanwhile, Mueller is still checked into the UCLA Center, since the incident during which the children were taken away a couple of weeks ago. She is expected to move straight to a residential treatment facility – also known as rehab. The twins, Max and Bob, are currently living with Richards, along with their two half-sisters. Brooke Mueller’s rep has confirmed where and how the celebrity is, explaining that she has been admitted to hospital surrounding prescription drug abuse, US Weekly reports. “They've been under her care many times before," an insider told Us. "This isn't unusual. Truthfully, Denise and [her daughters] are the only consistency those poor kids have had. [Bob and Max] are her family, and Denise would do anything for them." Mueller is known officially as a sociatlite, which basically just means ‘person’ but with the added caveats: ‘has money’ or ‘knows someone famous’ or ‘slept with someone famous’. More often than not, it’s all three. Bye. Charlie Sheen's kids were removed from their mother's home, over what has been suspected as a relapse in her substance abuse. "It just wasn't a stable environment with different nannies coming in and out, and child protective services came in and did their thing, and this is the outcome," a source close to Mueller told the Daily News. "Brooke didn’t have a say in this. They came in, assessed the situation, asked Denise to take the boys, and Brooke agreed." Charlie Sheen's sons have been taken into care after their mother's home (Brooke Mueller) was deemed unsafe for children. Charlie Sheen's twin boys were taken into protective care by the L.A. County Department of Children and Family Services from the home of their mother Brooke Mueller on Thursday (May 2) night, TMZ report. Apparently the Los Angeles officials decided her house was an "unsafe environment" for children, with Sheen's former wife and mother to his daughter, Denise Richards, offering her services as a carer. According to the sources speaking with TMZ, officials from the Children and Family Services Dept. arrived to Brooke's home on Thursday with a warrant, leaving with 4-year-old Bob and Max. The officials deemed Brooke's home as being unsafe for the children because they suspected she has relapsed into using drugs again, something she's been struggling with for years, and they believed drugs may be in the premise and the children were in genuine danger. Is Charlie Sheen ready to take care of his kids full-time?